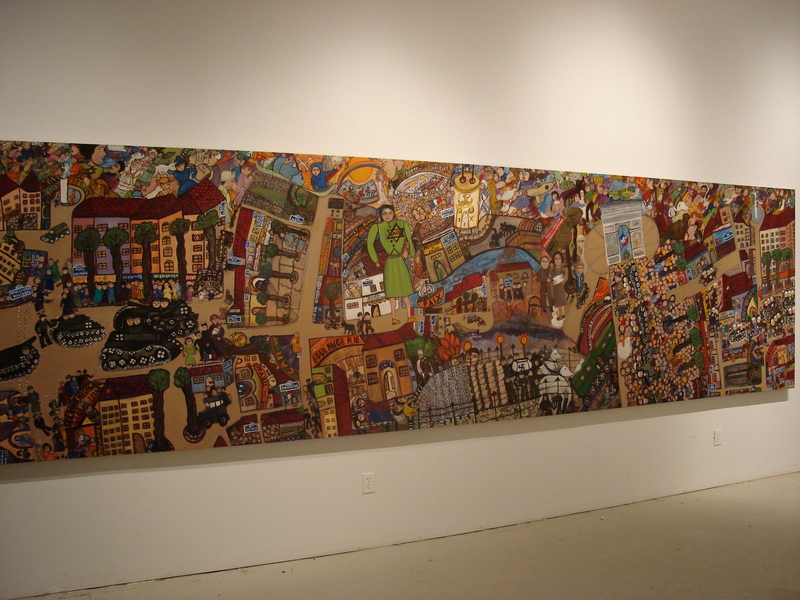 Lounah and her paintings represent a synthesis of so many diversified cultures and civilizations! Several thousand years ago, her ancestors (she is wont to say "I, too") inhabited the land of Israel. 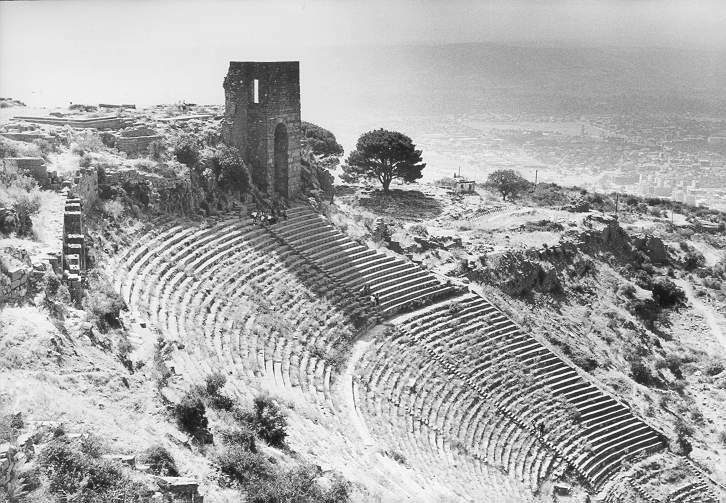 Driven away from the Holy Land, they reached Spain. Lounah has therefore been imbued since her early childhood with the customs and language of Spain which her family has preserved. 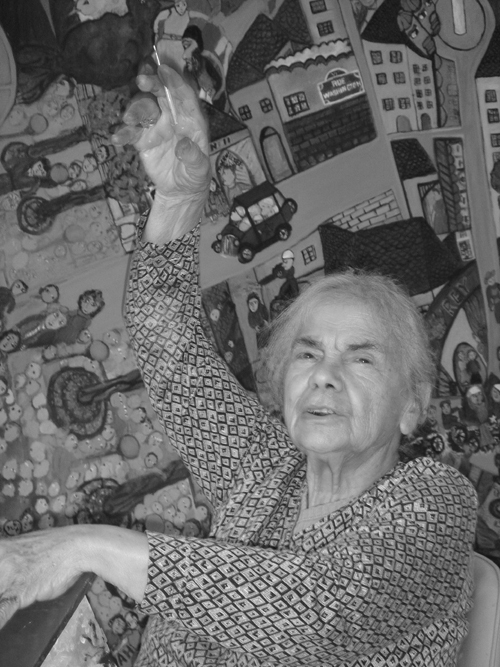 LOUNAH was born on Passover 1917 in the Hellenistic town of Bergama in the Ottoman Empire(Turkey) to a family of rabbis, merchants and magicians, but was raised from the age of 5 in Paris following the destruction of her home city of Smyrna. 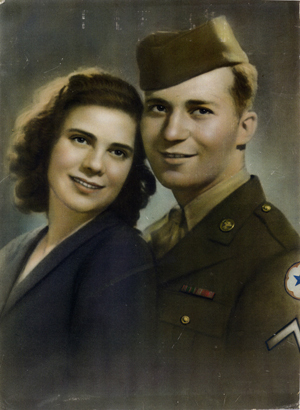 After her heroic survival of Nazi occupation, she met her future husband, a US Army Intelligence Officer and spy, on the Champs Elysees during the first day of the Liberation of Paris. Living a life dedicated to education and travel, she and her husband spent most of their time living in France, Italy, Switzerland and the USA, where they actively promoted social justice through the audio-lingual programs that they created and produced for schools around the world. She began painting in 1980 at the age of 63 and continues to paint today at 93 with the same energy and vigor as that of her earlier years. Lounahs work has been exhibited in France, Israel, Italy, Monaco, Switzerland and the United States and is displayed in the permanent collection of the US National Holocaust Museum in Washington DC. She now lives and works at her home in East Hampton, New York. 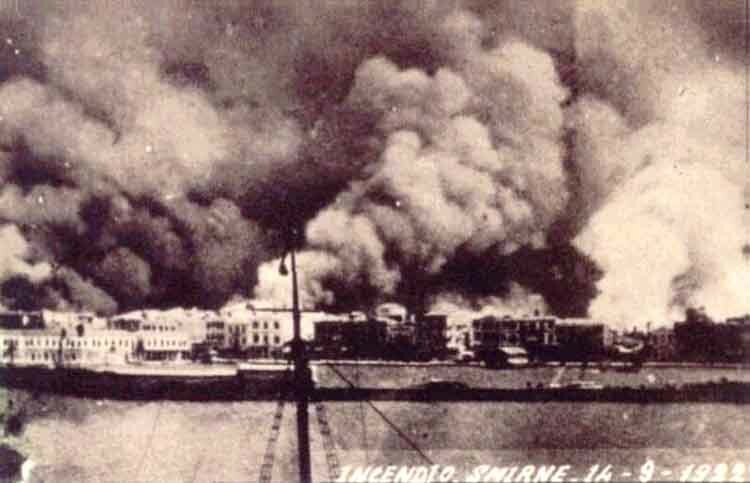 September 14, 1922: Lounahs home city of Smyrna, burning. 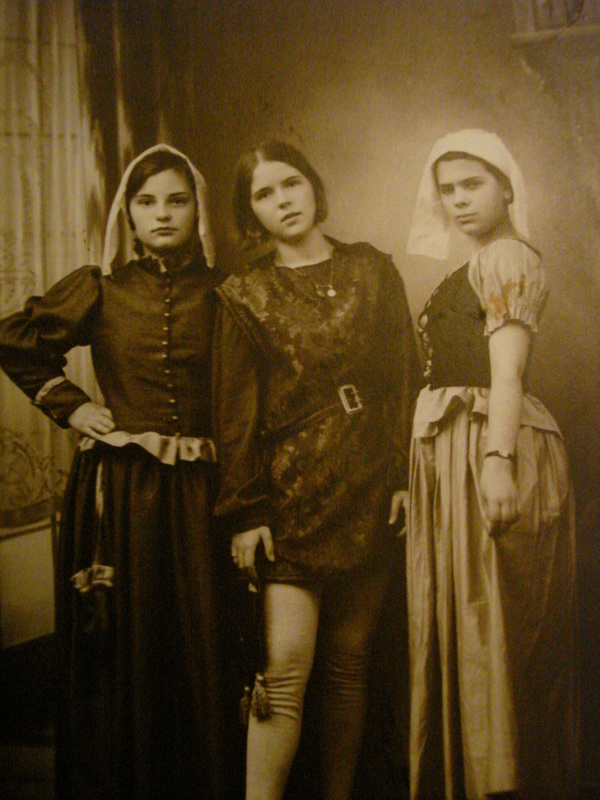 Lounah (far right) in a French theatre class, c.1932. One day in 1983, my husband Charles Starr told me: Lounah, you have a Bat-Call. What is it? It means the sister of the voice, a message of God. -"You have a present from God"
"What is it?" I looked interrogatively. -No answer, and just in time I remembered that I should have been thankful so I said in a hurry "Forgive me, thank you, thank you God, thank you Messenger of God." 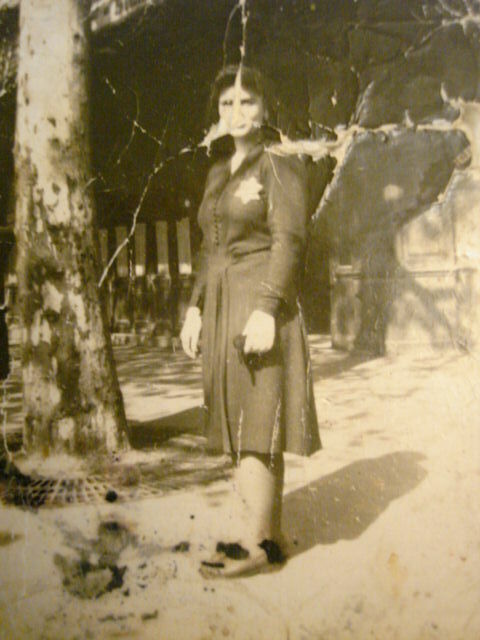 Lounah standing during Nazi occupation, wearing her star. 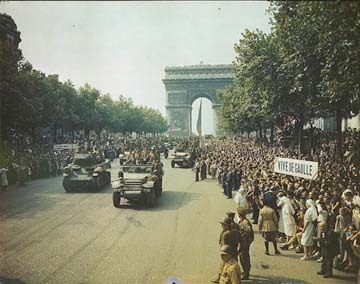 Liberation Day, 1944: Lounah meets Charles on the Champs Elysees. Soon after I knew what it was. Something in my head prompted me to speak to my son who was across the Atlantic Ocean in West Brentwood, New York. "Do you hear me?" and he answered "Yes!" So I continued speaking to my son. After our conversation I told my husband "Can you imagine, I recieved a great present from God -I have a free telephone!" I couldn't know how great was that present. The following day I was having breakfast in our apartment in Nice, France and I said what came to my mind. "Papa, do you hear me?" "How is it possible, so quickly? I just formulated my question." -"I was in Paradise. you called me, and here I am! We are as fast as you just realized." "Do you think I can call Mother?" -"Call her and you will see." 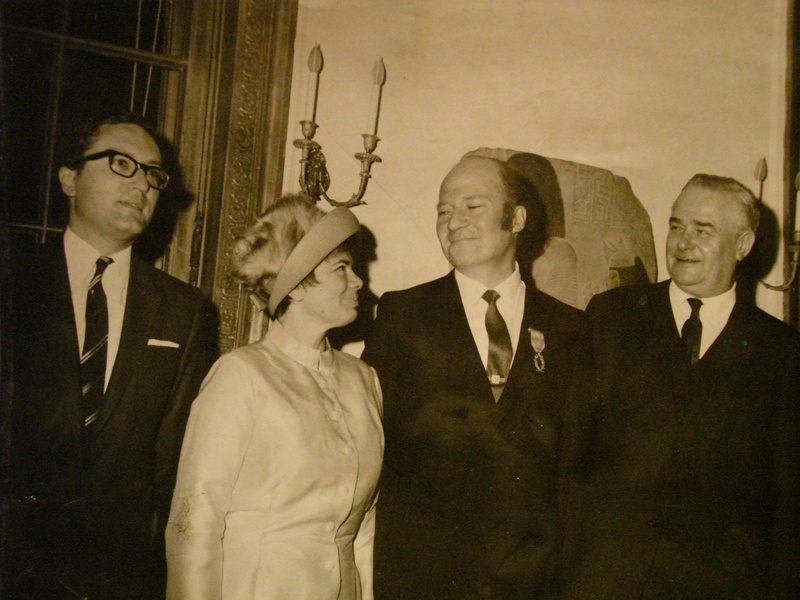 Lounah and Sgt Charles Starr, 1944.
de L'Ordre des Palmes Académiques in recognition of their contribution to French culture. "Mother, can you hear me?" -"I am near you. When you speak to someone upstairs it is like an invitation and we come." Could you imagine that my present was so great? I can talk to whom I want in this Planet Earth and elsewhere and in the Better World. I am telling this story to let all the children know what I discovered through my present from God. Our beautiful lives continue after death! People continue to live after they quit this world! They speak, they travel, they work to help people in need on this planet, they pray, they eat and they rest on Saturdays so they can visit their families. They sleep at night, unless they work by night. Even in working hours if you call them they come very quickly no matter how far away they are. Summer 2005, Lounah working on her great 18 foot mural.